Uncas (1588 – 1683) was a sachem of the Mohegan who through his alliance with the English colonists in New England against other Indian tribes made the Mohegan the leading regional Indian tribe in lower Connecticut. He was a friend and ally of our ancestor Major John MASON for three and a half decades and he had dealings with many other of our ancestors. Uncas has acquired two different, divergent reputations. Most of the general public think of Uncas in the manner he was portrayed by Cooper, as epitomizing the “Noble Savage.” Some historians, however, regard Uncas as a disloyal collaborator and crass opportunist. Best known for his support of the New England colonies during the Pequot War in 1637, Uncas, acting at the behest of the Connectieut colony, gained notoriety for his role in the murder of the Narragansett sachem, Miantonomi, one of the first Native American leaders to advocate unity in the face of the European invasion. Who was the real man? 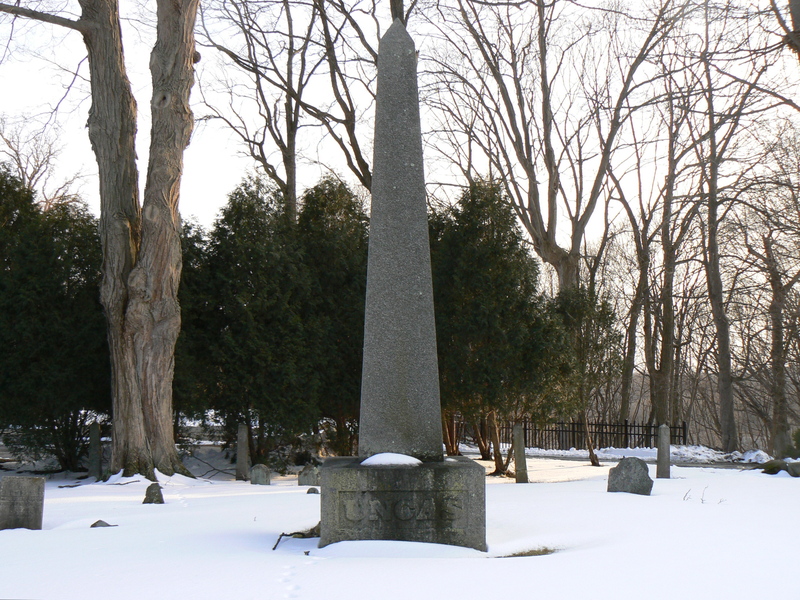 President Jackson laid the foundation stone of a monument to Uncas in Norwich, Connecticut. Four United States Navy ships have been named USS Uncas. Uncasville in Eastern Connecticut is named after him. The Mohican (Mahican) that Cooper wrote about were the northern division of the Leni-lanape or Delaware Nation. Their homeland was northern New York, not southeastern Connecticut. In 1826, James Fenimore Cooper’s novel “The Last of the Mohicans,” introduced a fictional Uncas to the world. In many ways it’s the first American adventure novel, the first American popular novel, and the first novel that features Native Americans as main characters. 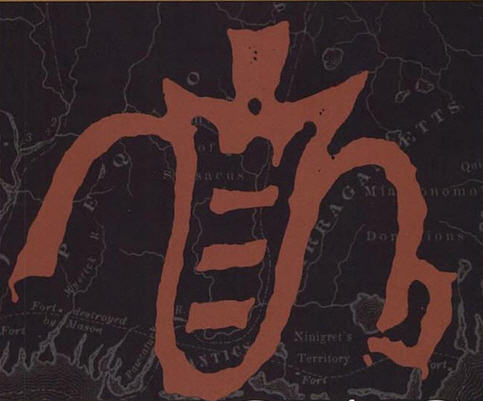 It became probably the icon by which all Native Americans were drawn for generations after that because we have those two images in the characters of on the one side Uncas and Chingachgook, who were the noble Mohegans, and on the other side Magua, who is the despicable, lying, dangerous redskin, who is the villain of the piece. And they’re names that were picked out of the popular imagination. But Uncas, of course, was an historical character, the leader of the Mohegan people, who became the primary ally of the English and was a sort of exemplar of the relationship between the white man and the Indian. In the popular imagination he was the good Indian, so when Cooper wrote this book it’s not surprising that the Uncas character should be used in name if not an actual person because, of course, the fictional Uncas is totally different. The romanticized image of the strong, fearless, and ever resourceful frontiersman (i.e., Hawkeye), as well as the stoic, wise, and noble “red man” (i.e., Chingachgook) were notions derived from Cooper’s characterizations more than from anywhere else. So you had this picture of Uncas as being absolutely steadfast. He is sort of the image of Tonto. He’s the first Tonto and the Lone Ranger. And this image of the white man with the faithful Indian by his side continues on down through movies and television right to the present day. It’s one of the most popular images in the American imagination, even though beginning with Uncas himself it is a false image. In Cooper’s defense, he made no attempt to pattern his character after the historical Uncas and his Indian characters are far more complex than most readers realize. More than 12 movie versions of The Last of the Mohicans have left an enduring mark on American culture. The usual deletions from cinematic versions of The Last of the Mohicans are the extensive sections about the Indians themselves, thus confounding Cooper’s purpose. Further, romantic relationships, non-existent or minimal in the novel, are generated between the principal characters, and the roles of some characters are reversed or altered, as are the events. 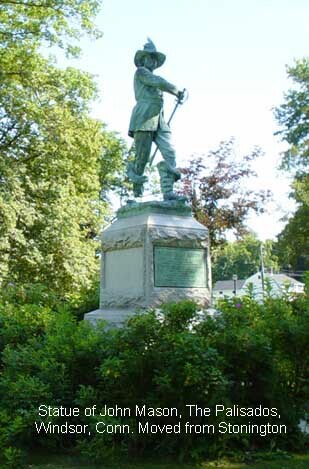 In 1889, a statue of Mason drawing his sword was erected on the site of the Mystic Fort massacre, in the present day town of Groton. The event is commemorated by a boulder monument that formerly was on Mystic Hill upon the pedestal of which is a life-size statue of Major Mason drawing his sword, representing the moment when he heard the war-whoop of “Owanux” in their fort. Many members live on the Mohegan Reservation in Montville, New London County. The tribe gained federal recognition in 1994. Its original petition for federal recognition was submitted in 1978 by Chief Rolling Cloud Hamilton It operates the Mohegan Sun Casino in Uncasville, Connecticut, as well as a casino at Pocono Downs, Wilkes-Barre, Pennsylvania. They also own the WNBA team, the Connecticut Sun. There are at least two bands that are independent of the federally recognized band. Although similar in name, the Mohegan are a different tribe from the Mahican, traditionally based in present-day eastern New York, who are also an Algonquian-speaking people. 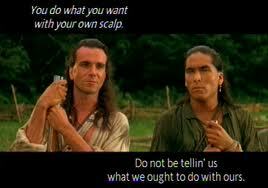 In the United States, both tribes have been referred to in various historic documents as Mohicans, a source of confusion based upon a mistake in translation. The Dutch Adriaen Block, one of the first Europeans to refer to both tribes, distinguished between the “Morhicans” and the “Mahicans, Mahikanders, Mohicans, [or] Maikens”. Some people confuse the Iroquoian-speaking Mohawk of the Haudenosaunee (Iroquois Confederacy) with the Mohegan, but they belong to two different language families and were historical enemies. The Mahican were historically located in the Hudson River Valley (around Albany, New York). Their traditional meeting ground was in Schaghticoke. Under pressure during the American Revolution, many moved to Stockbridge, Massachusetts after 1780, where they became known as the “Stockbridge Indians” or Stockbridge Munsee. Descendants removed to Wisconsin during the 1820s and 1830s. Most descendants of the Mohegan tribe, in contrast, have remained in New England; the Mohegan have a reservation in Connecticut. After the Pequot War, captured Pequot were divvied up as spoils among the victors. Boston sells some of its share of Pequot survivors into slavery in Bermuda. 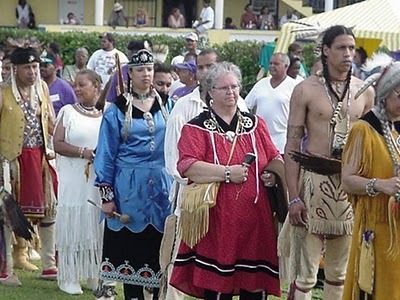 Many Pequot descendants still live on Bermuda’s St. David Island, their Indian slave ancestors having intermarried with their African slave ancestors. In 1638, the Connecticut English host a treaty party where a few remaining Pequot are dived among the tribes that had been English allies. The Pequot absorbed into Uncas’s tribe later became known as the Mashantucket Pequot. In 1976, this tribe successfully sued the state of Connecticut for recovery of some of its land in Connecticut and received federal recognition from Ronald Reagan in 1983. This is the home to the tribe’s wildly profitable Foxwoods Resort Casino. To understand Uncas you need to think of the time that he was born into. It was a very challenging time. There were a lot of choices to make and they were critical choices, critical for the survival of his people. Seeing all that– seeing the kind of power that Europeans had with their large boats and with the populations that just kept coming — and the clothing that Europeans had that was so tailored. Native people certainly had a richness to their own lives but seeing those kinds of items had to cause them to wonder about this other people and what powers and special gifts that they might have of their own. It could be very intimidating, I think. There were diseases that took out 90 percent in some cases of the population so that you lost elders and experienced people and children, which caused you to be concerned about the whole future of your people. My understanding of the way native people fought was more to embarrass your enemies and to kind of do a blustery show to dominate and intimidate them but usually not with the idea of wiping them out entirely. But with European arrival then you had a very different people and Europeans were experienced in wars that just totally decimated people and with the weapons they had those weapons served them to that purpose. So for native people contemplating warfare meant they really had to think about it in new ways. Uncas said if they’re to be here then how do we make sure that we survive and the way to do that was to gain alliances, to gain dominion as it were over certain native groups so that he could have power and influence that then could be used with the Europeans to advantage. And people might see his actions as somewhat of a weakness in that he didn’t fight to the death but instead I think he had a great amount of bravery to meet the situations head-on. When the history of these times is written they very often do not judge the behavior of Indians in the same terms that they judge other people. White people do diplomacy, Indians do something else. What this guy was a diplomat and he had to make some alliance of some kind. And he made a choice and interpreting his choice strictly along racial grounds, I think, is a very limited way of looking at it. He made some choices and they’re very easy to second guess 350 years later. He certainly had diplomatic skills in being able to manipulate the system to enable himself to survive. This was an early example of a much more subtle view of the power politics of the day than the people who just stayed in one place and said, “we’re gonna fight to the end.” And, in fact, they did fight to the end and it was over. It’s amazing to me that a people can be reduced to good and bad. So to racistly label Indians good or bad only enhances your own ignorance. And Uncas was a survivor. A wise survivor. In the latest demographics it’s estimated that in the eastern United States, east of the Mississippi River, there were 12 to 14 million Indian people. Where’d they go? Where’d they go? So Uncas represents someone who is smart enough to survive and he got his people to survive, otherwise they’d be as extinct as the hundreds of Indian nations that were wiped out in the holocaust of the settlement of the East.